Hidden smoke shack in Colorado. It is safe to say that two of the most popular past times in Colorado are pot and skiing. 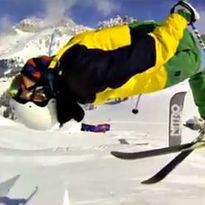 But Colorado ski industry leaders say they would rather not see the two industries combine, at least not in terms of marketing. In fact, they worry that the pro-pot push in Colorado means that families will be teaching their kids to pizza and French-fry in other states where pot remains illegal, taking their much-loved $3 billion in annual tourist dollars with them. 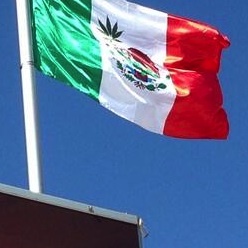 British F-1 racing team McLaren caused a small political rift over the weekend in Austin after Mexican flags altered to include cannabis leaves were flown over the team’s merch stalls at a race in Austin, Texas. It probably wouldn’t have been so bad had members of the Mexican consulate’s office not seen it and tweeted it out to the interwebz. The consulate said they were highly offended called the mistake “unacceptable”. 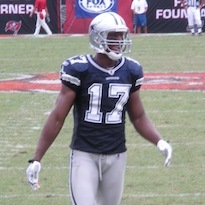 Former NFL wide receiver Sam Hurd was sentenced yesterday to 15 years in federal prison, accused by the feds of being the kingpin behind a start up cocaine smuggling operation. The sentence is much lower than most expected. Federal sentencing guidelines stipulated somewhere between 27 and 34 years. But U.S. District Judge Jorge Solis says Hurd was charged more with talking about being a cocaine dealer than ever actually being one. Former NFL wide receiver Sam Hurd is going to jail likely for the rest of his life for cocaine trafficking, accused by the feds as being the kingpin to a major narcotics operation. Hurd, now in his late-20s, faces sentencing later today. Apparently now with little left to lose, he’s coming clean about his days in the NFL – including how pervasive cannabis actually is in the league. Kansas City Chiefs wide receiver Dwayne Bowe is the latest NFL player to be involved in a marijuana-related incident after being arrested for speeding and possession of pot early Sunday morning in Riverside, Missouri. According to cops, Bowe was pulled over in his A8 Audio for doing 48 mph in a 35 mph zone and when the cop walked up to the car he says he smelled a “strong odor of marijuana”. The cops then called in a local K-9 dog that sniffed out about 10 grams of herb in Bowe’s car and another seven grams or so on a passenger in the car, George Thompson. 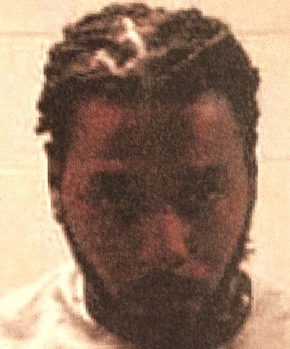 Bowe posted a $750 bond and was released. We recently reported about the controversy over an Arapahoe Basin executive announcing that skiers caught smoking marijuana in public at the resort could lose their lift ticket — a warning that stirred plenty of controversy. But one important factor may not have been fully considered by those on either side of the issue: Arapahoe Basin, like most Colorado ski areas, is on federal land. Moreover, a U.S. Forest Service spokesman stresses that pot is illegal in such places — and stopping its use remains a priority. Denver Westword has the full details, brah. Many Colorado ski towns are allowing recreational pot sales. But that doesn’t mean public weed smoking is any more legal at resorts than it is elsewhere in Colorado. Still, the idea that ski areas will crack down on those who light up in plain view definitely stirs emotions, as Arapahoe Basin chief operating officer Alan Henceroth (seen here) discovered when he wrote about it not once but twice this past weekend. Denver Westword has the full story. Legalized cannabis could sell for as low as $1 a gram in Uruguay when the country legalizes the cultivation, sales and use of cannabis later this year as expected. 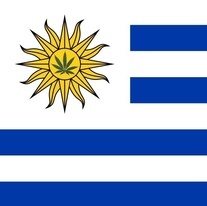 Uruguay’s drug czar Julio Calzada announced the predicted low-prices for government cannabis stores earlier this week, dropping it by more than half from earlier predictions. 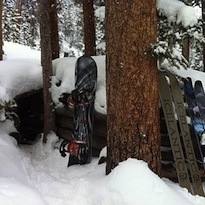 Thinking of taking a ski vacation in the high country of Colorado in 2014? Last week, Telluride officially approved sales of recreational cannabis, joining a majority of other tourism-reliant ski towns around the Centennial State that have given an okay to the ganja. Which towns, exactly? Denver Westword has the growing list. 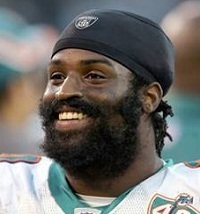 It shouldn’t be that much of a surprise that Ricky Williams used to smoke pot the night before Dolphins games. And it’s even less of a surprise that former Dolphins Channing Crowder is blabbing about it. Former linebacker Crowder was on WQAM yesterday morning when he started addressing Williams’ marijuana use. Miami New Times has the full story.